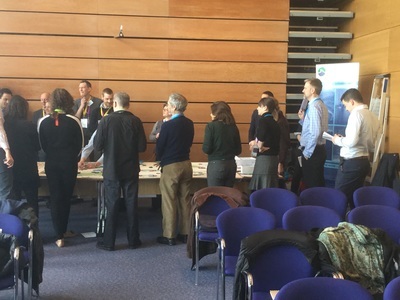 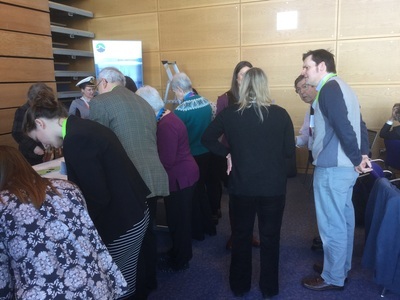 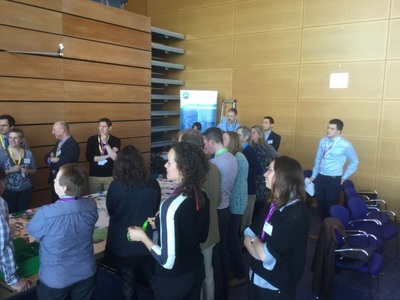 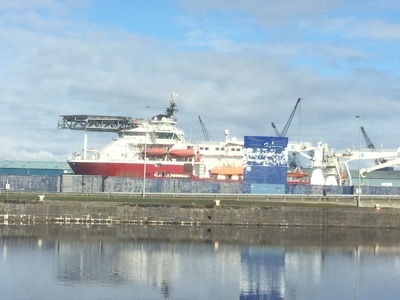 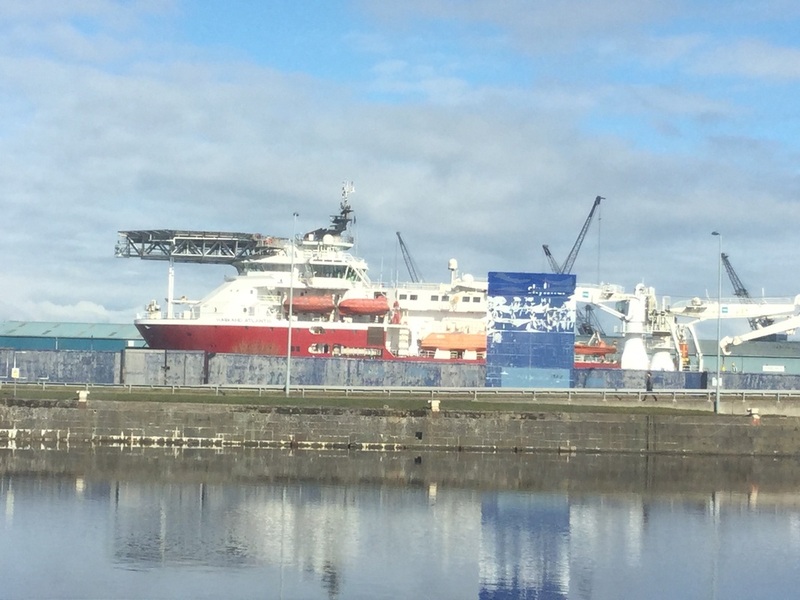 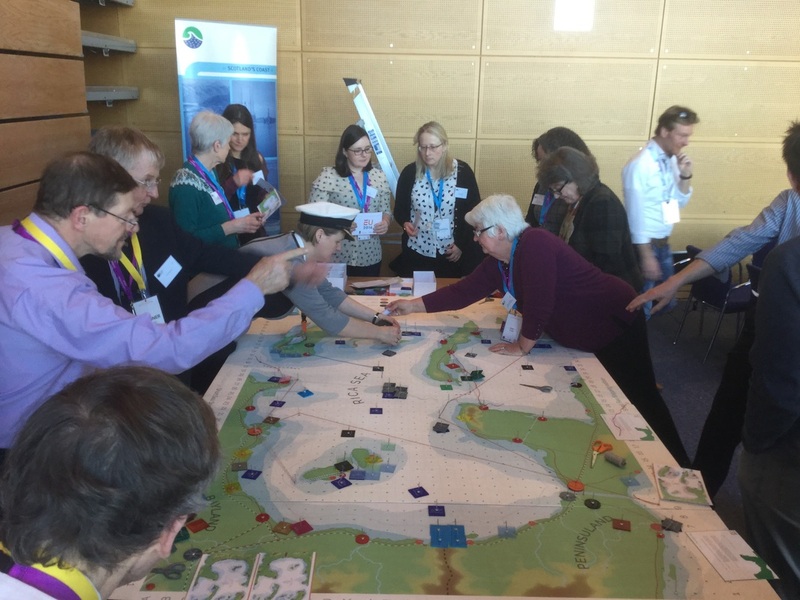 Scottish coastal forum, 10 March 2016 - Meet the Challenge! 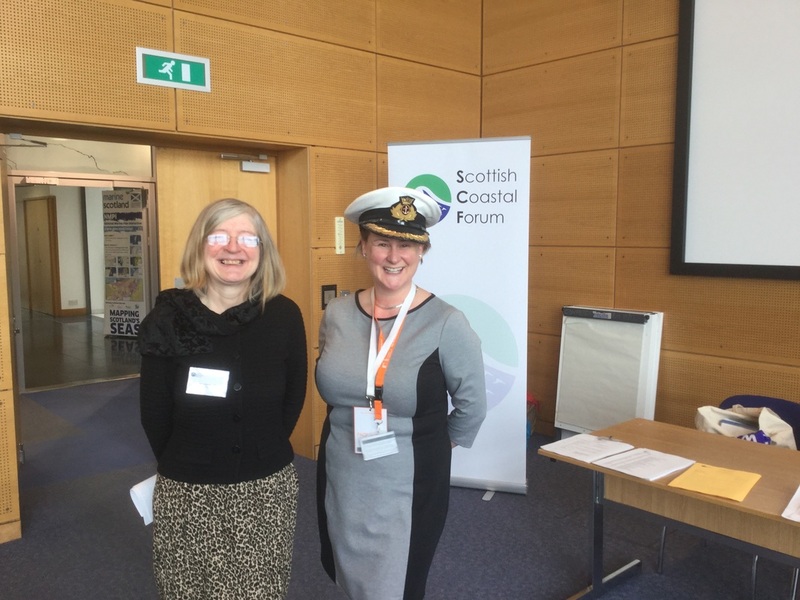 The Scottish Coastal Forum was created in 1996 and it marked this milestone with a 20th anniversary event in Victoria Quay, Edinburgh on Thursday 10 March, 2016. 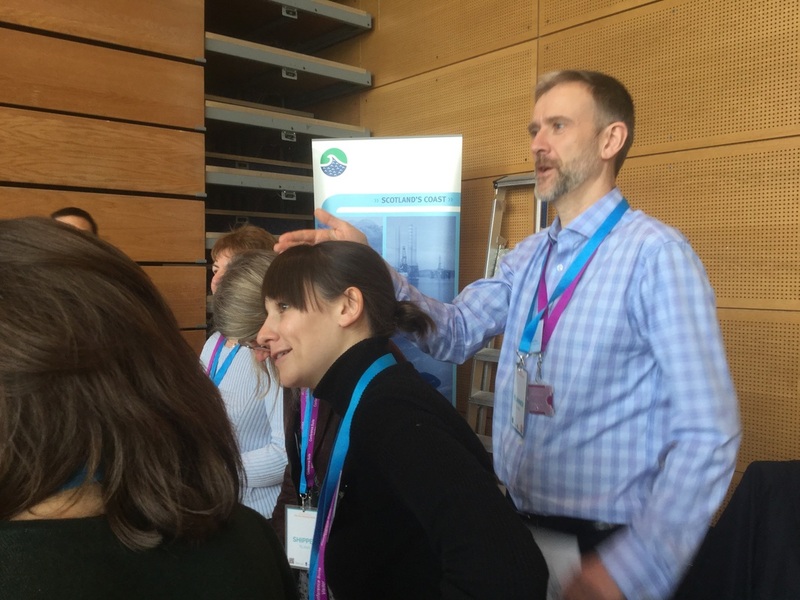 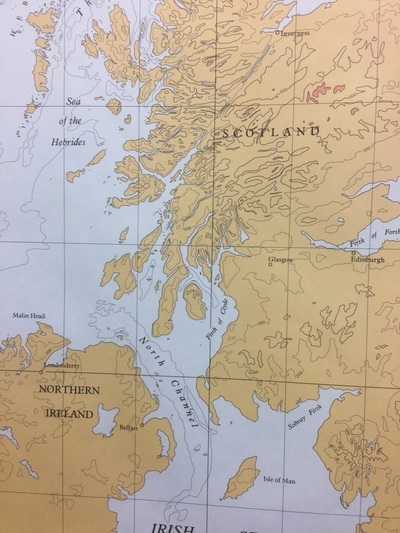 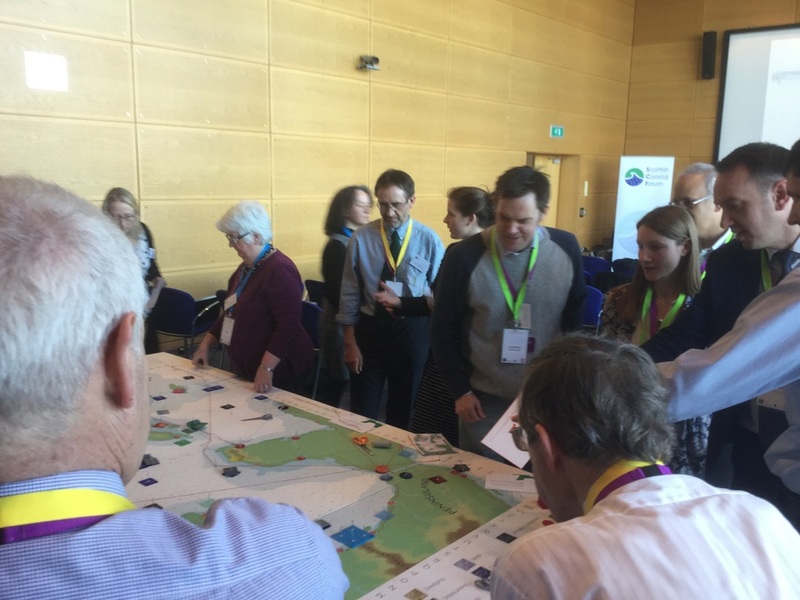 The SCF used the occasion to look back at the developments made in coastal management since the SCF was set up and looked forward to the exciting opportunities that marine planning will bring, especially as Scotland’s National Marine Plan settles into its implementation phase. 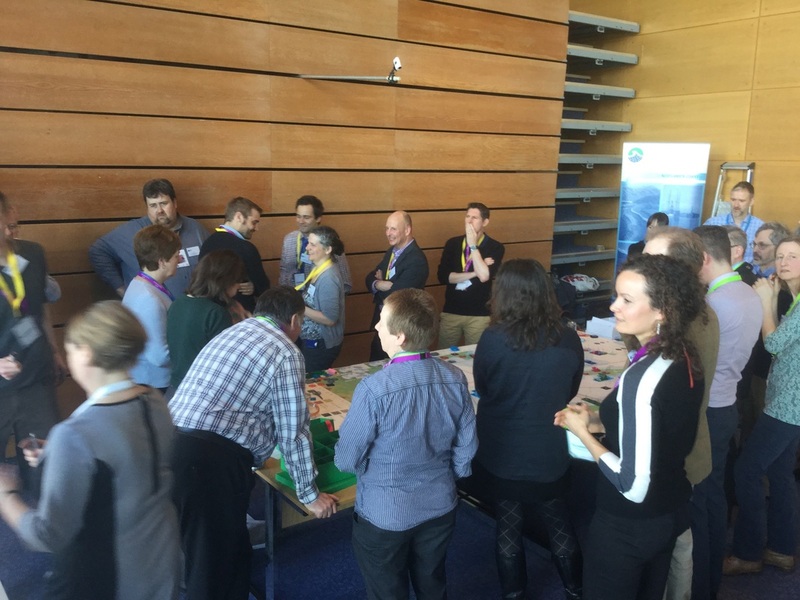 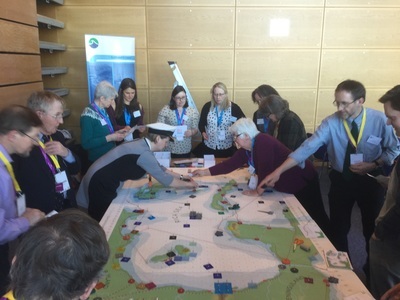 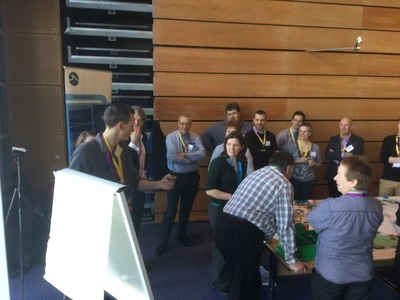 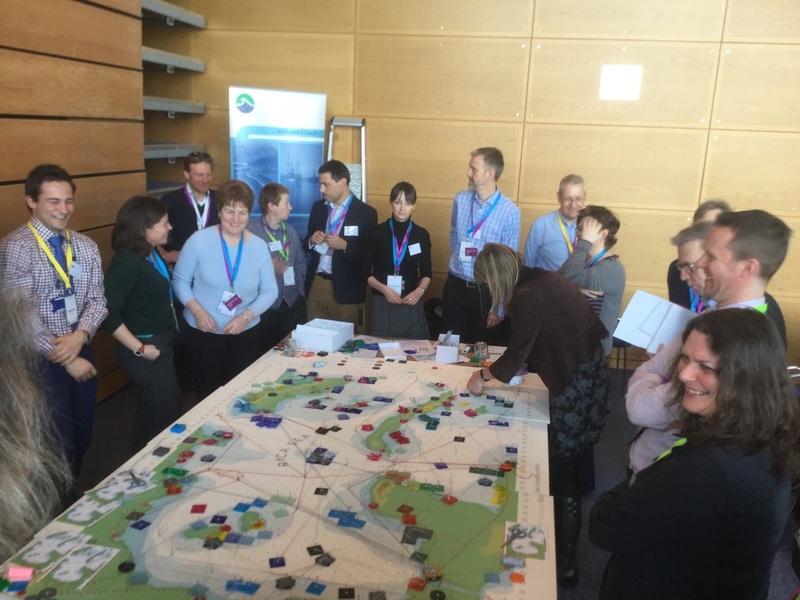 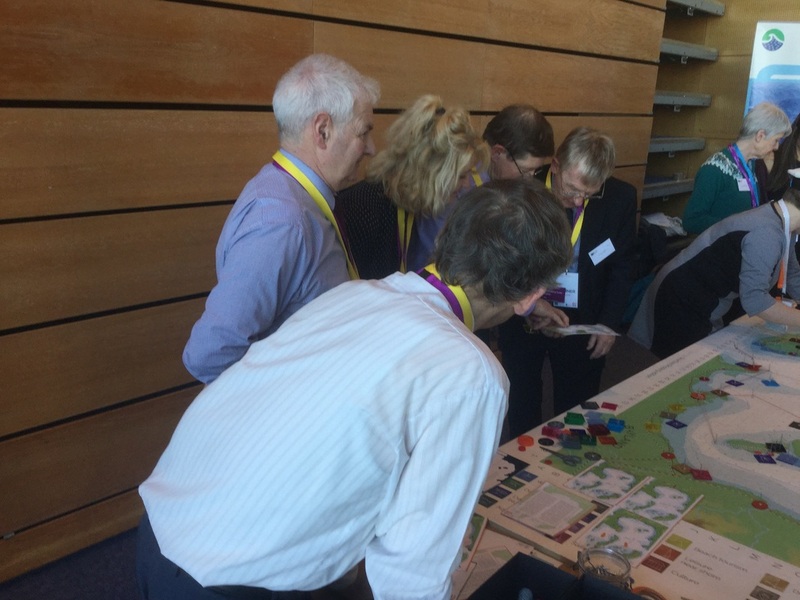 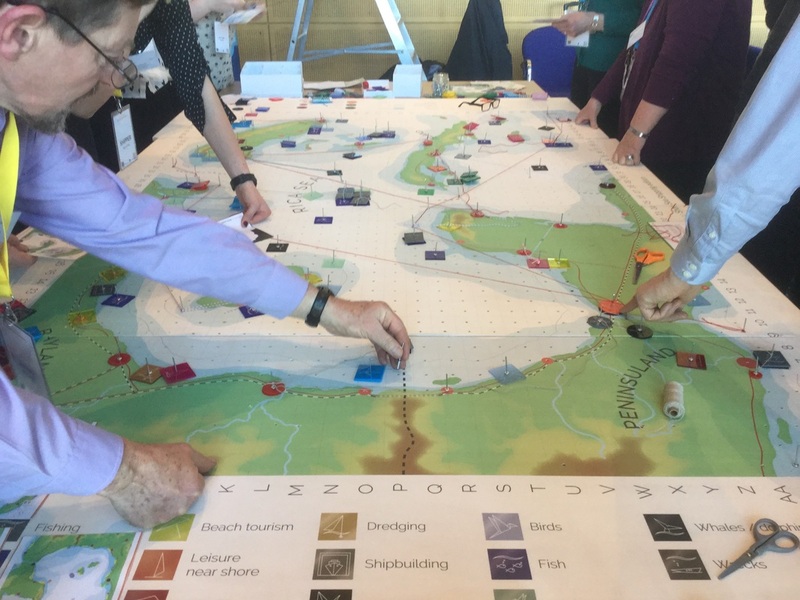 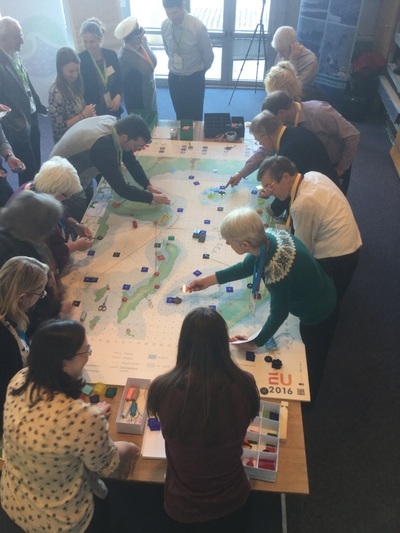 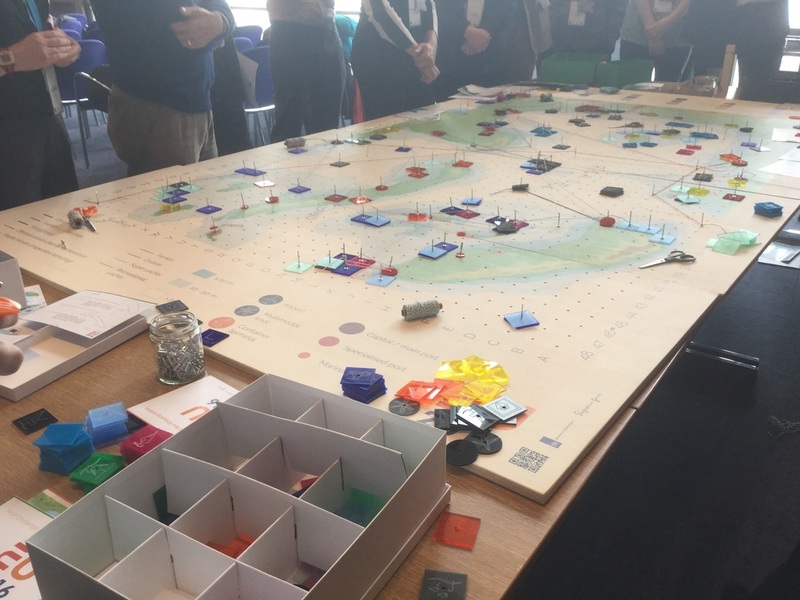 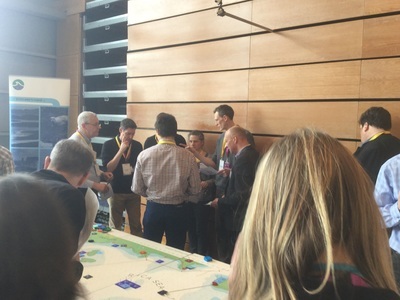 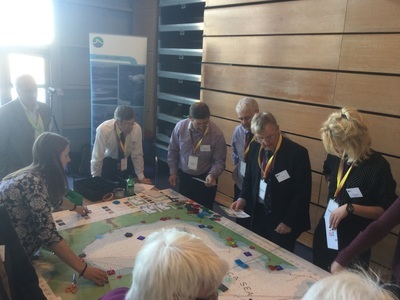 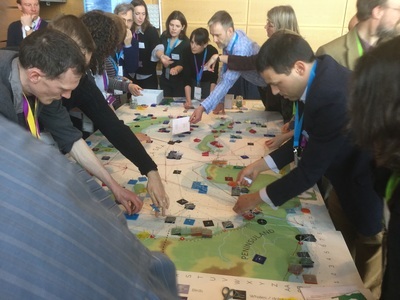 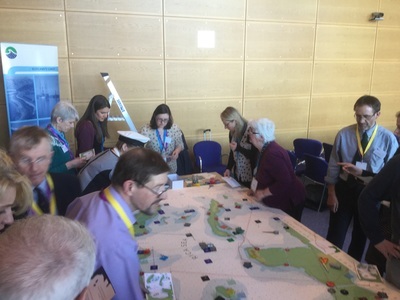 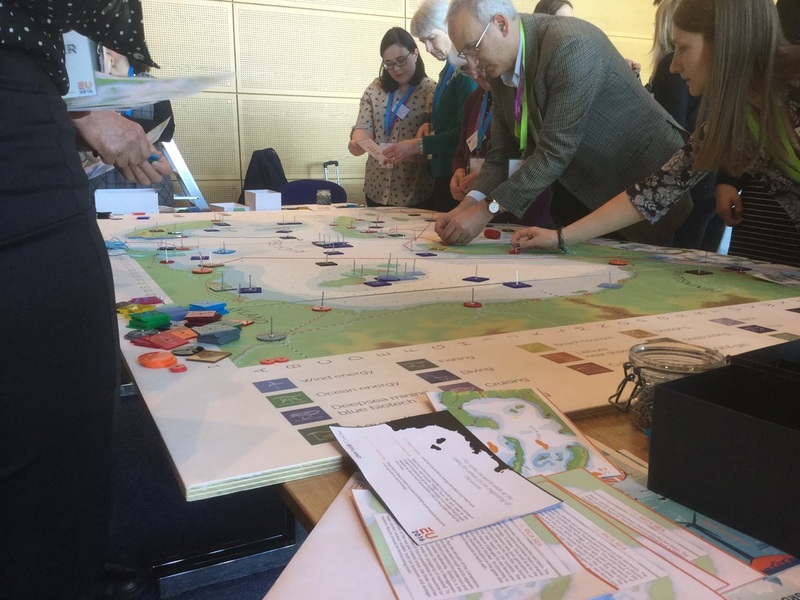 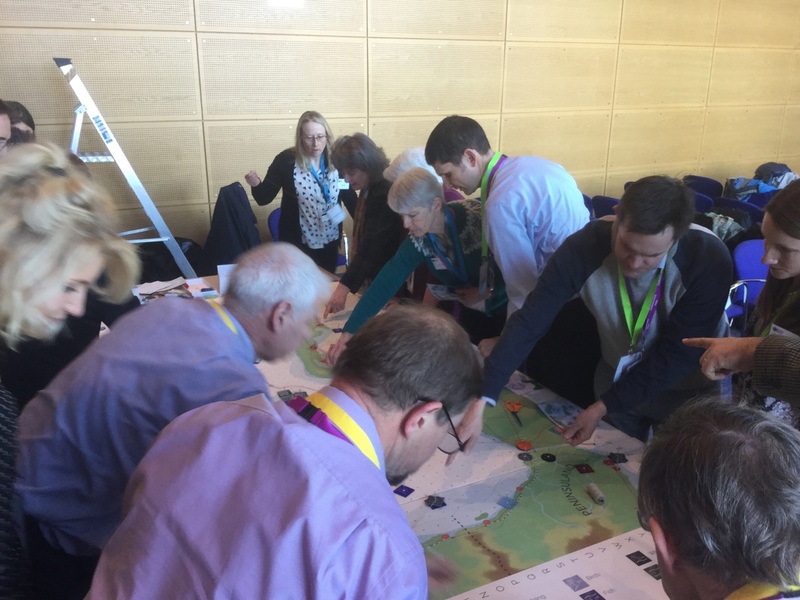 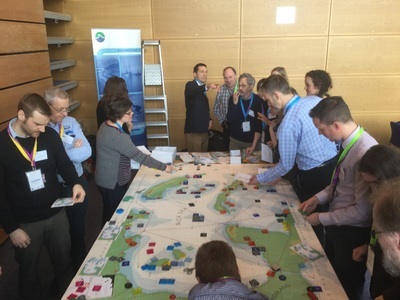 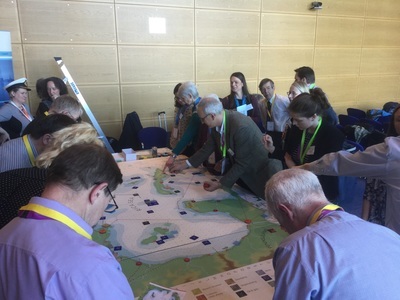 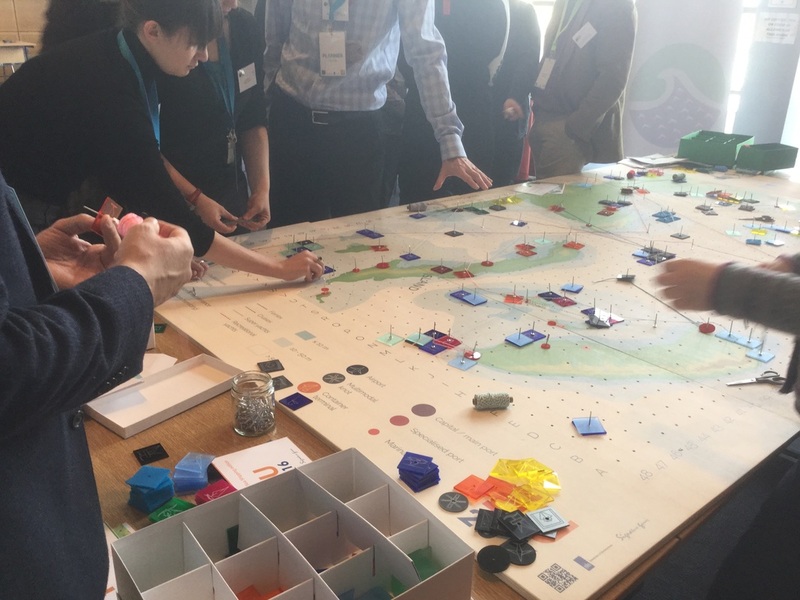 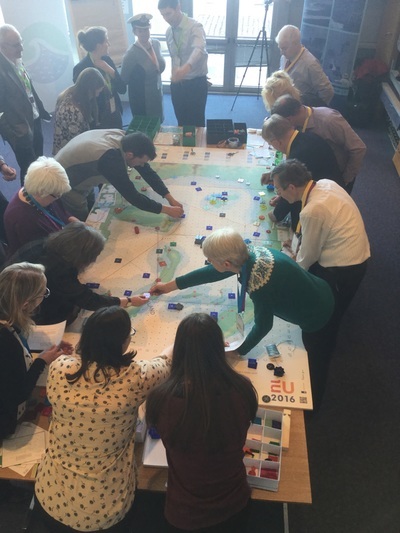 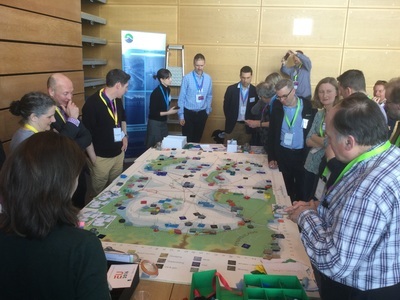 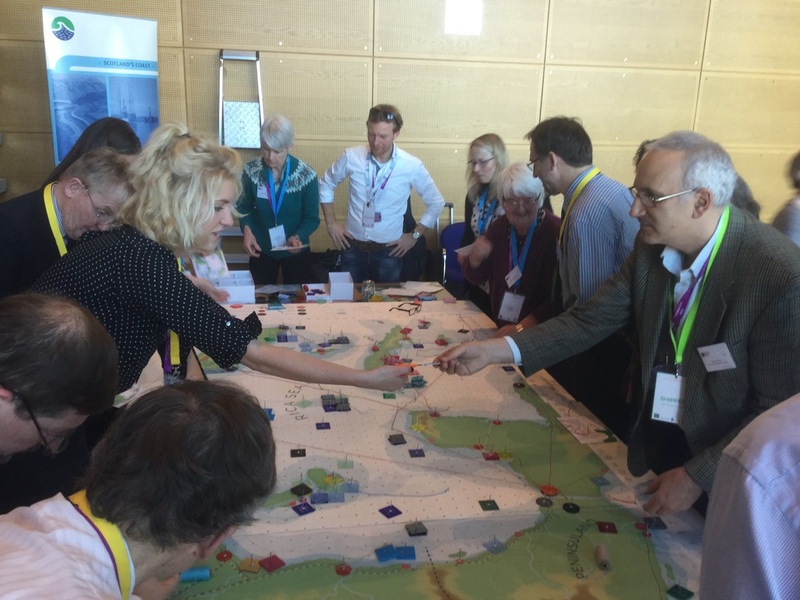 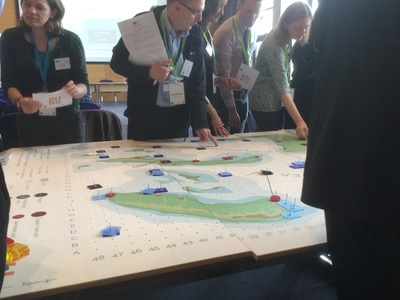 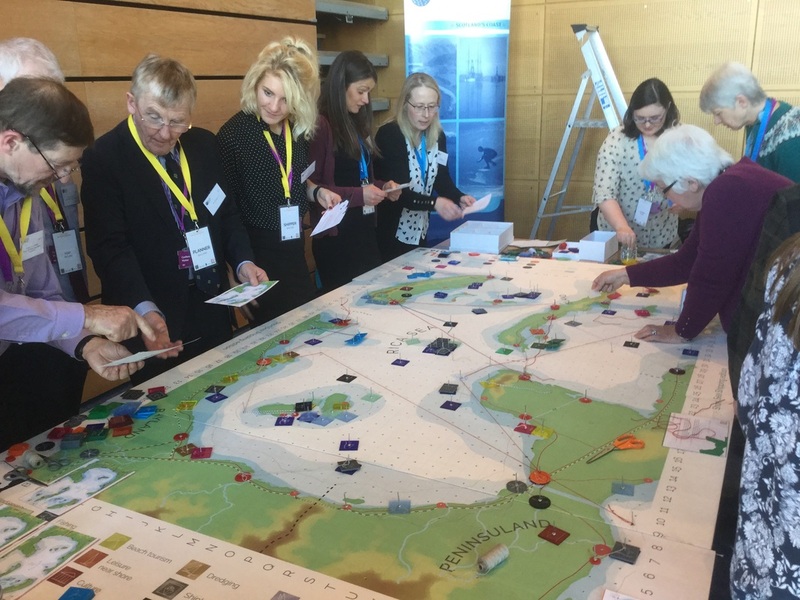 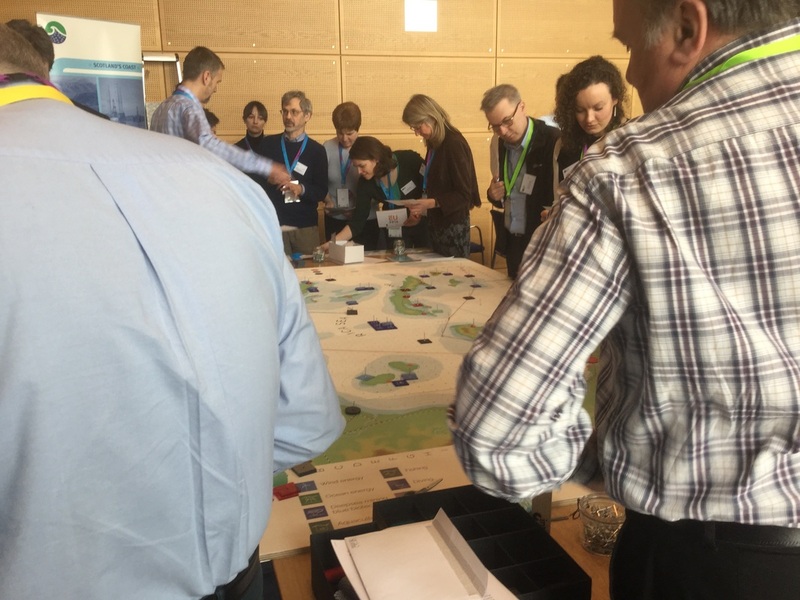 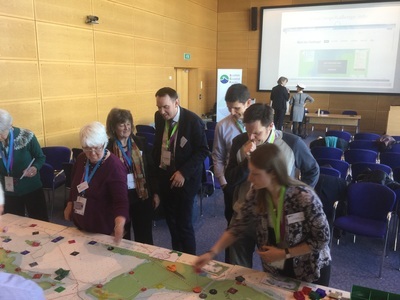 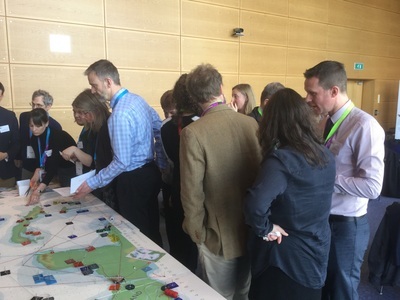 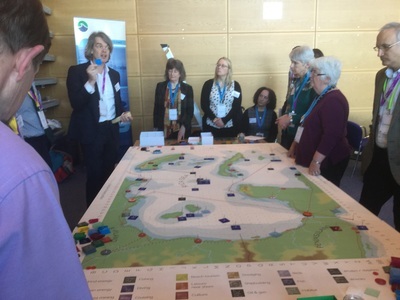 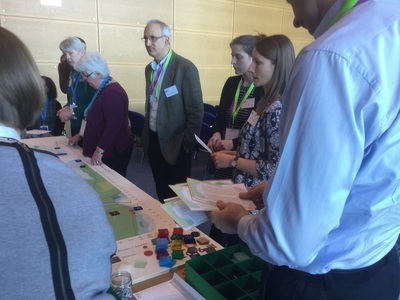 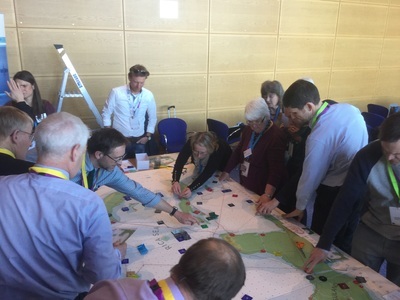 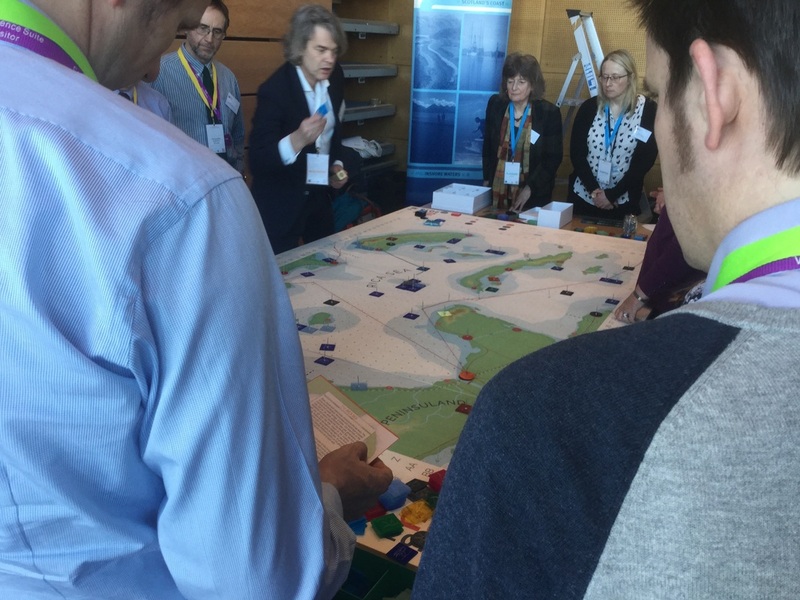 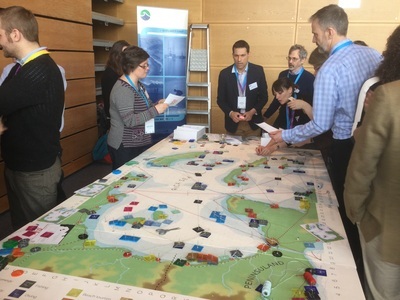 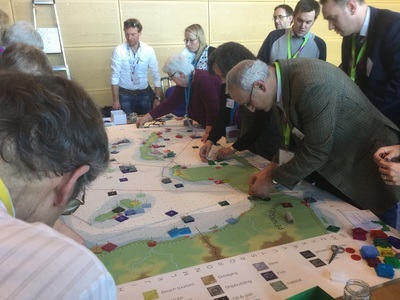 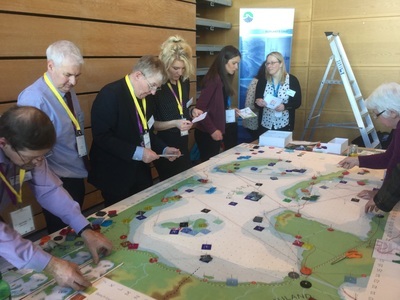 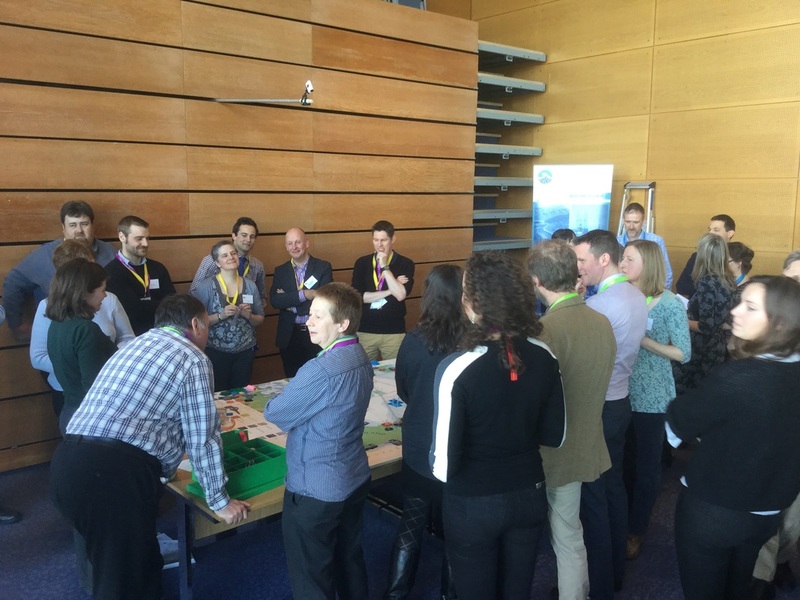 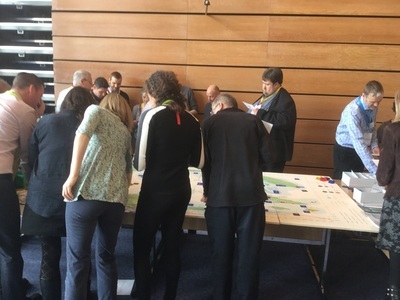 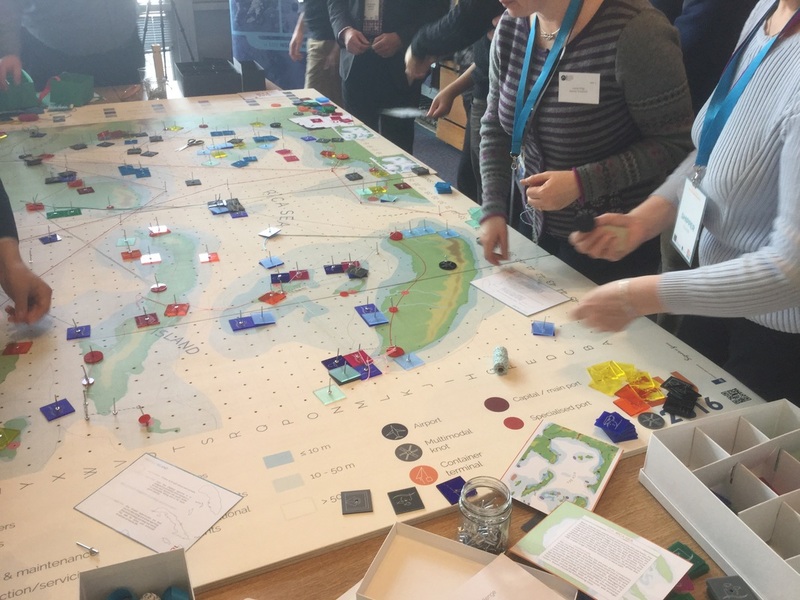 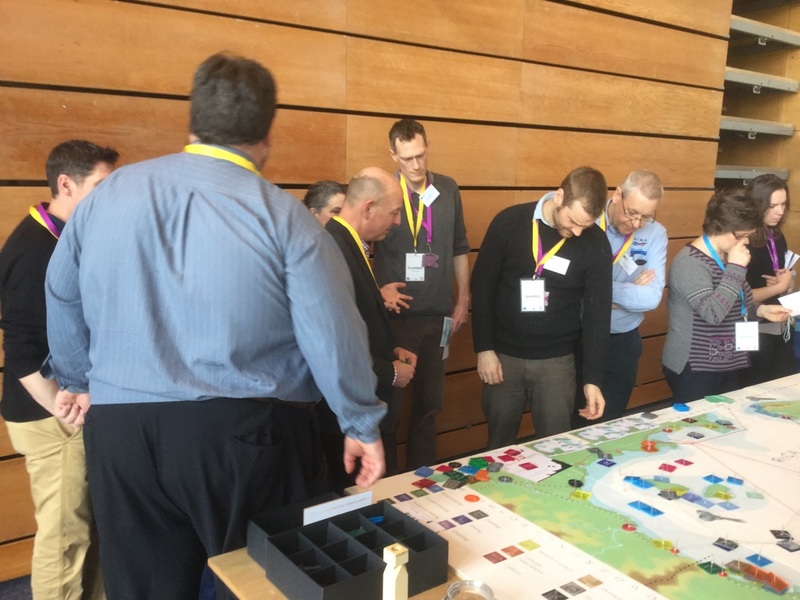 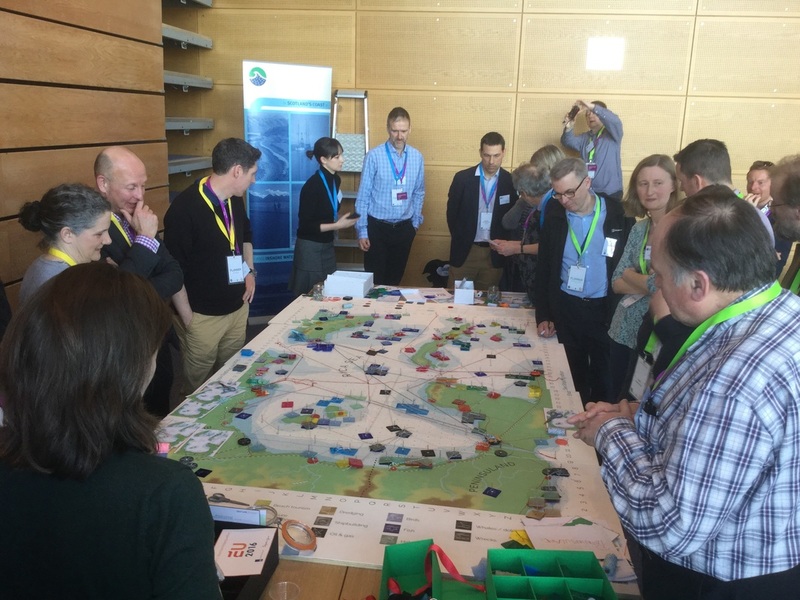 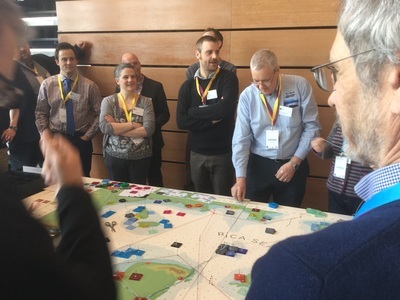 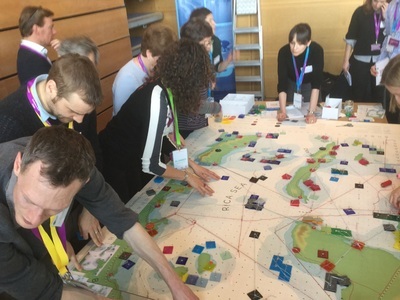 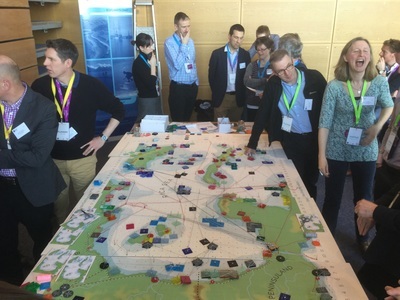 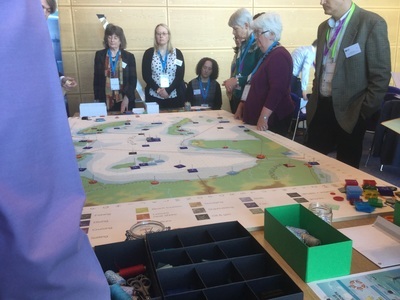 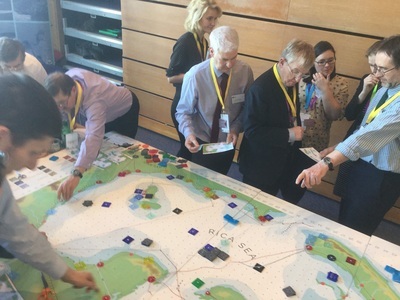 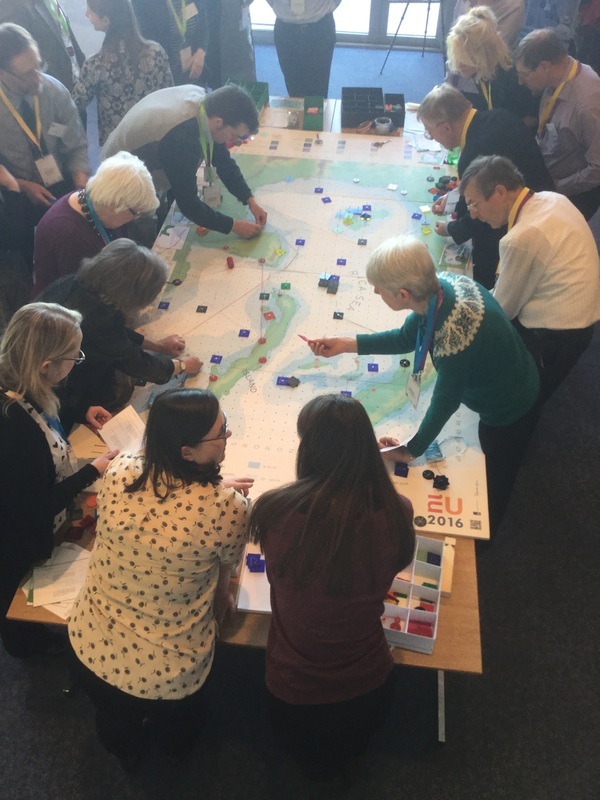 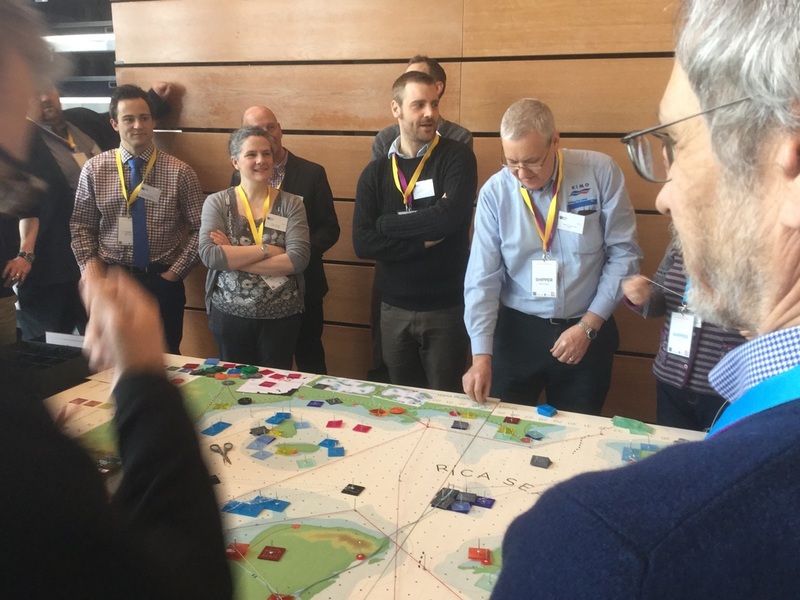 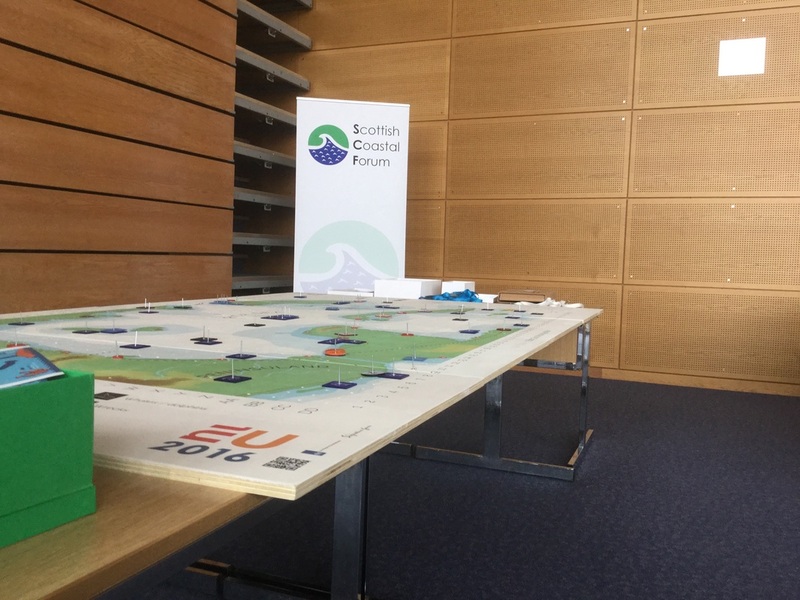 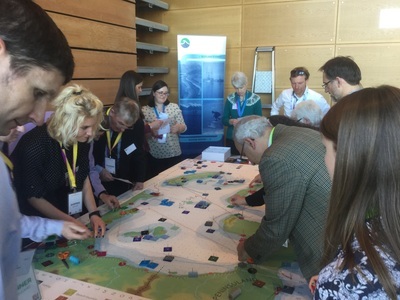 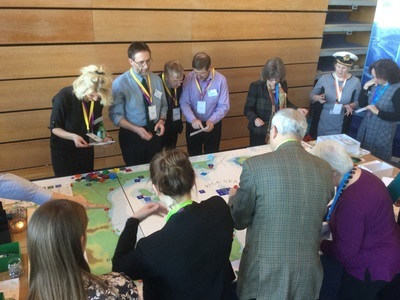 During the event, two lively sessions with the MSP Challenge board game 'Edinburgh version' were held. 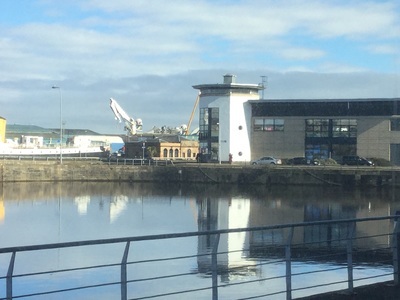 The Time Lapse videos and photos below give a good impression. 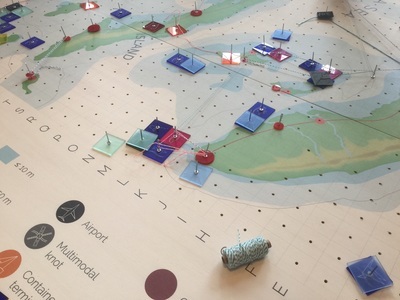 The technology and concept of MSP Challenge 2050 will be developed under the EU project SIMCELT, producing a new version that will focus on the challenges of planning for the Scottish Marine Regions.